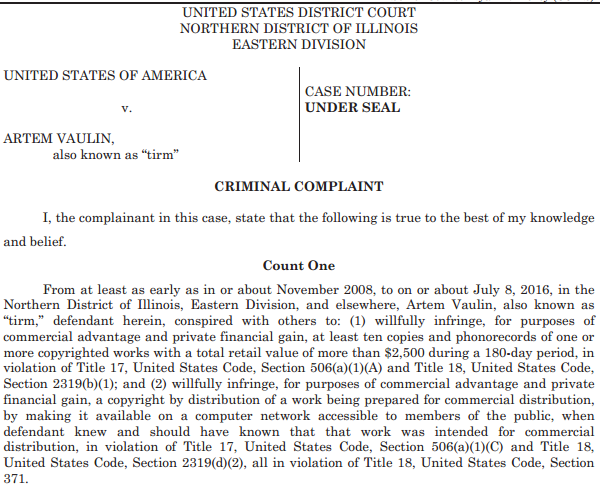 In a criminal complaint filed in U.S. District Court in Chicago, the alleged owner is charged with conspiracy to commit criminal copyright infringement, conspiracy to commit money laundering, and two counts of criminal copyright infringement. In addition to the arrest in Poland, the court also granted the seizure of a bank account associated with KickassTorrents, as well as several of the site’s domain names. Commenting on the announcement, Assistant Attorney General Caldwell said that KickassTorrents helped to distribute over $1 billion in pirated files. At the time of writing the main domain name Kat.cr has trouble loading, but various proxies still appear to work. KAT’s status page doesn’t list any issues, but we assume that this will be updated shortly. Breaking story, in-depth updates will follow. Update: More in depth coverage of the complaint here.